Driving in Costa Rica can be intimidating, but there’s no better way to explore the country. It gives you the freedom to stop and go as you please and stay at places that tourist buses don’t reach. Most roads are smooth and drivers tend to drive carefully comparing to other countries I drove in. However, you might want to rent a 4×4 instead of a regular car, as many roads are unpaved and can get muddy and unpassable. I’m glad we had a proper vehicle as we were able to cross paddles without having to worry about sinking. Here are some basic things to know about renting a car in Costa Rica in order to make your experience smooth and convenient. 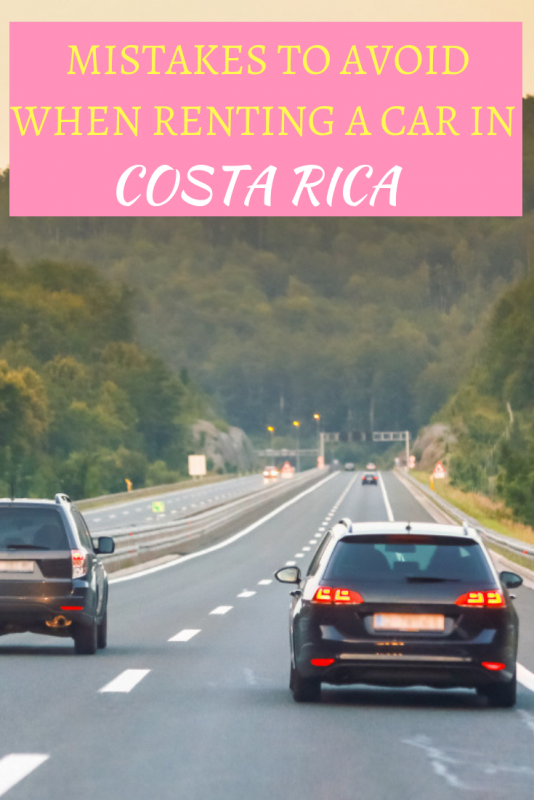 Should You Rent a Car in Costa Rica? 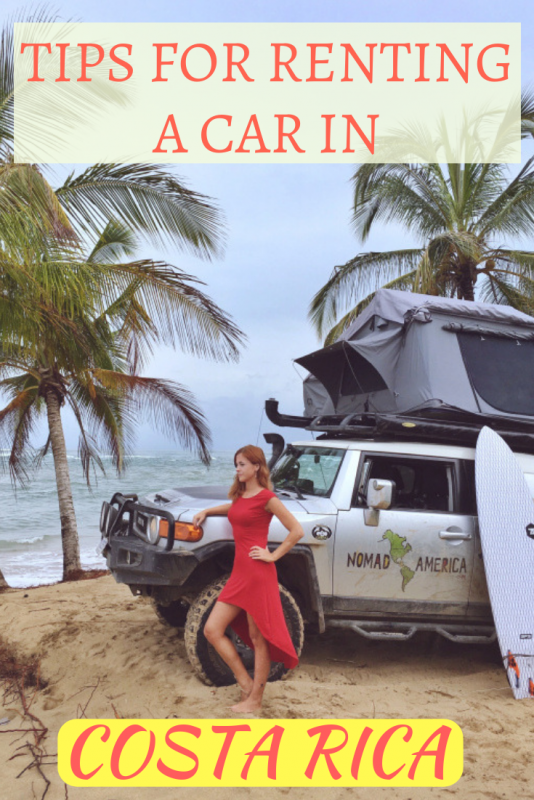 Do You Really Need a 4×4 Car in Costa Rica? 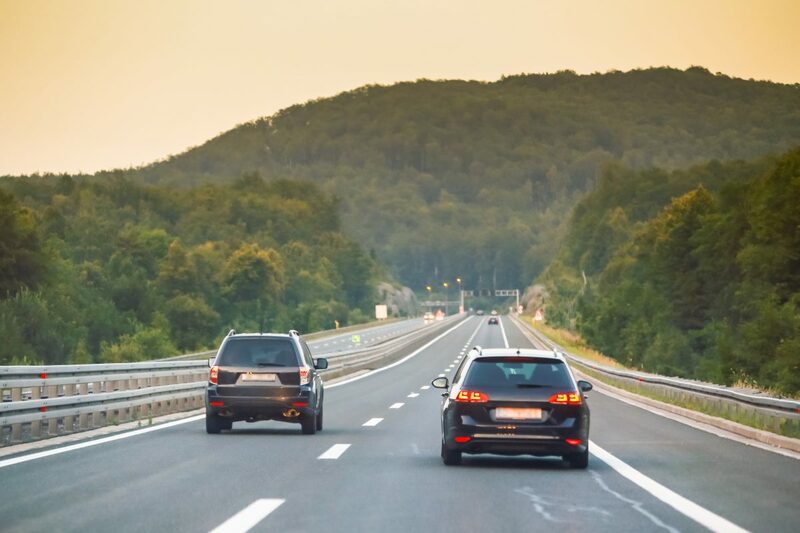 Although it is daunting to rent a car anywhere in the world, especially as a first time visitor, having your own car allows you to plan your trips and visits according to your schedule. You don’t have to rely on public transport timetables to get you where you need to be. Plus, local buses aren’t the most comfortable form of transportation. I took some during my first visit to Costa Rica when I couldn’t drive and I probably wouldn’t do it again. They take a long time, don’t usually stop for a bathroom break and can feel very cramped. 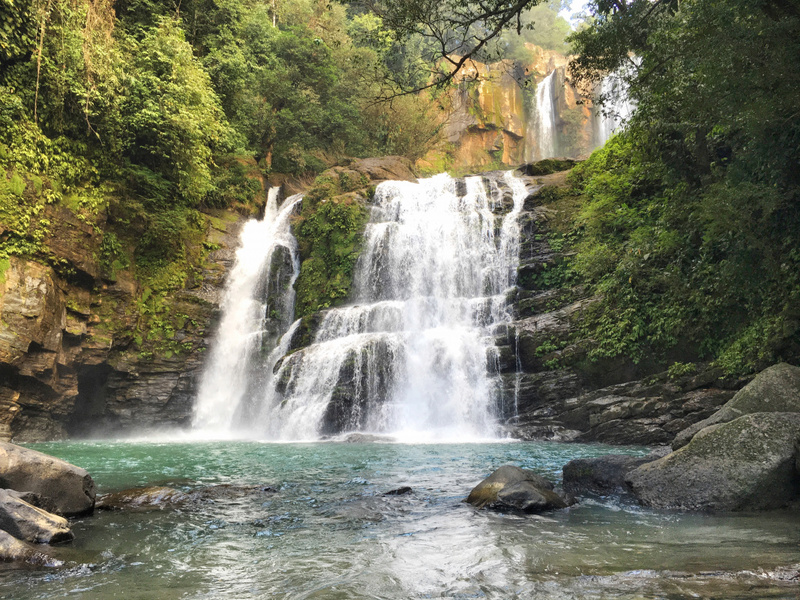 A lot of places in Costa Rica are only accessible by car, so unless you’re planning on sticking only to the tourist route you won’t see the best of the country. You could reserve a chauffeured transfer, but these mostly run on the main roads and aren’t cheap. For a solo traveler or a couple, it makes no financial sense. Remote waterfall – we were only able to visit it because we had a car. You should be aware that the roads can be a bit unpredictable since there are very few roads signs and not all of them in English. There are very few street lamps, so driving at night can be a bit tricky if you’re not used to it. The highways may not be that big so drive times may be longer than you expect. In Costa Rica, the government is primarily in charge of the liability insurance, albeit only minimal coverage, of auto vehicles through the INS (Instituto Nacional de Seguros). This legally mandatory insurance only covers damage to other people, cars or property but does not actually cover your rented car. In order to cover your car, you have the option to look into the optional insurance offered by the rental car companies, without which you may be completely responsible for all damages to the vehicle. In reality, most car rental companies have their own insurance policies that they’ll discuss with you. These are known as Collision Damager Wavers, but don’t extend to damage caused by vandalism, negligence, road damage or theft. In order to get full coverage for these, you need to look for Zero Liability insurance policy. You can get covered by your credit card such as American Express, but this depends on the agreement you have with your card provider. Do You Need a 4×4 in Costa Rica? You may have heard that it’s advisable to rent a 4×4 when looking to drive the roads in Costa Rica. It really depends on where do you want to go and more importantly when. The main roads are generally in good condition, so a 2WD should do the trick and works out cheaper. 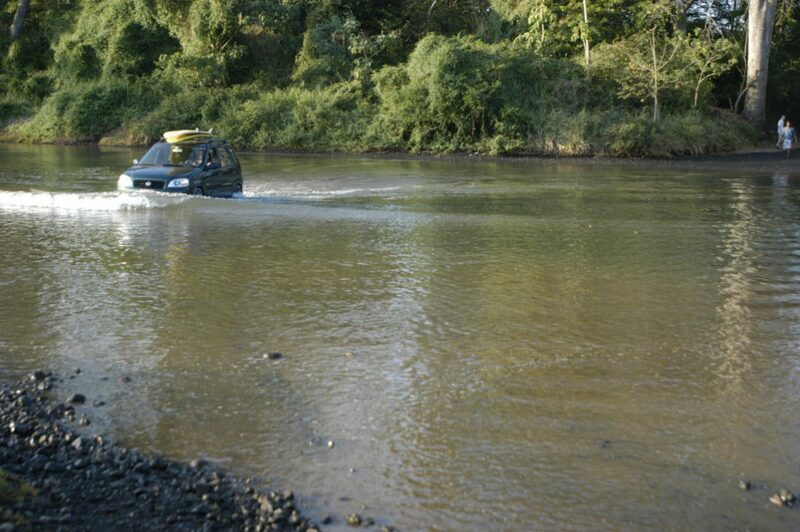 However, fording rivers in the rainy season becomes substantially more difficult with a 2WD vehicle due to the increased flow of water. The rainy season extends from mid-May to late November, but in some places it might rain unexpectedly all year round. If you’re planning on driving to the Osa Peninsula or Monteverde you need 4WD since many roads are unpaved. We wouldn’t have been able to reach some camping areas in a regular car. Important: If you do decide to cross a river, always be sure to wade through first on foot to check the depth, as most rental car companies won’t cover any damage caused by rivers. All you need in order to rent a car in Costa Rica is a valid license from your home country. There is no specific requirement to have an international driving license. It’s recommended to keep a copy of your passport on hand, as an officer may ask for it if you get pulled over. If you think you can get a better deal for a car in person in Costa Rica than online you’re wrong. In case of Costa Rica, it’s definitely cheaper to pre-book your car online. You can compare car rental companies at Discover Car Hire. Especially if you’re flying into San Jose airport you won’t find any rental companies at the airport, so they need to know you’re coming and pick you up with a shuttle. Adobe is a popular rental car company in Costa Rica that is often recommended, but their prices tend to be more expensive for what you might need. 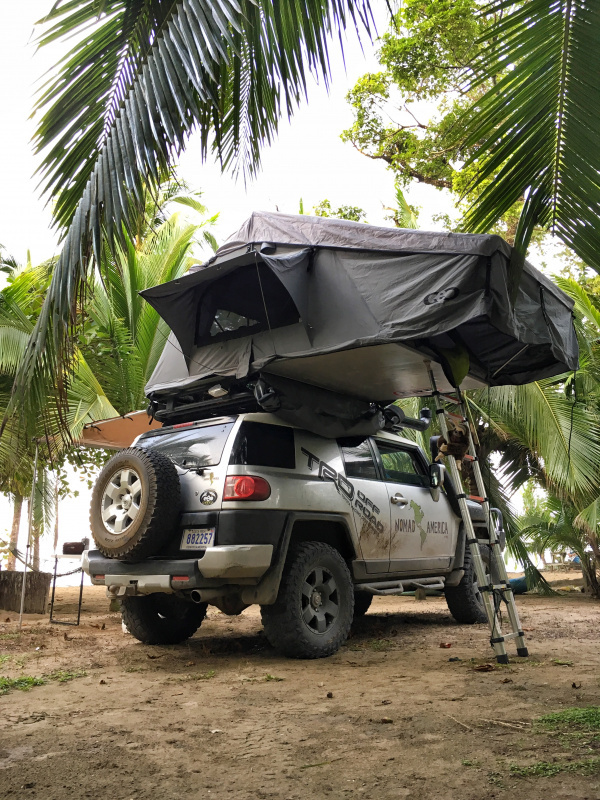 For my second trip to Costa Rica, my husband and I opted for an FJ Cruiser with a tent on top of it from Nomad America. The car was obviously more expensive than regular cars we could have found online, but since we camped it saved us some money. You may want to ensure that any car that you rent has a GPS included or have a working WiFi connection to check Google Maps. The most important driving tip for Costa Rica is to watch out for potholes and speedbumps. They’re big, they’re everywhere and not always marked. Finding parking was never an issue as all restaurants and hotels have a parking lot. We had to pay for parking at some national parks, but that’s about it. Costa Ricans love passing even in places where you shouldn’t be passing other cars, such as uphill. While I don’t recommend doing it yourself you should be aware that locals might try to pass you many times, so stay alert. You’ll encounter many one-lane bridges. Slow down when you’re approaching it and see if there’s already someone approaching. If so, they have the right of the way and you need to wait. If cars in front of you are already moving, you can continue driving behind them. If you’re driving at night, take precautions as some cars might not have their lights on. 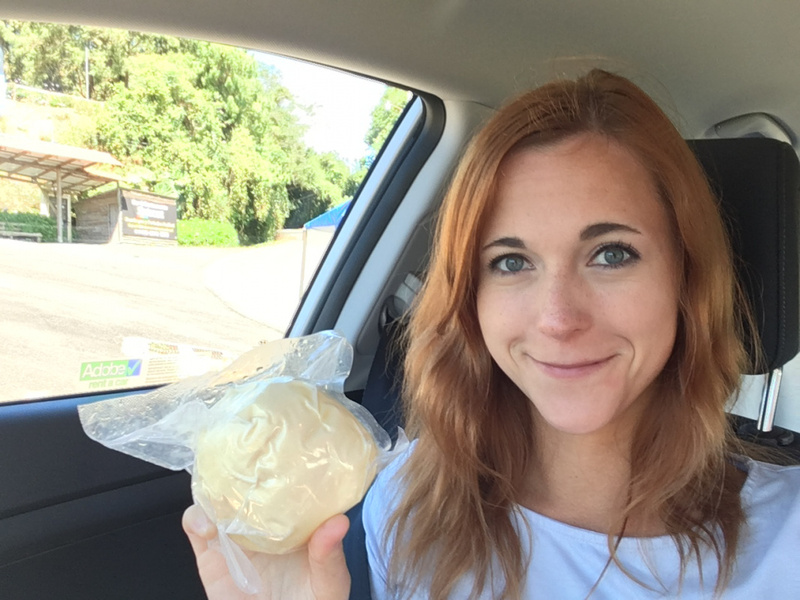 If you’re driving you can pick up some typical Costa Rican Palmito cheese sold on the side of the road. Renting a car in Costa Rica is surprisingly cheap. You can get a small 4WD for as little as $20 a day, or get a bigger campervan if you want to also save money on accommodation. Keep in mind that all gas stations in Costa Rica have the same government-regulated prices so there’s no need to shop around. Prices will be all the same and there will always be an attendant who will fill up your car, like anywhere else in Latin America. Make sure you have some cash for it, as it’s easier than hustling with a credit card. Cost can vary depending on the season, so make sure you check different rental companies through Discover Car Hire and pick your best rental car for Costa Rica. Don’t forget to arrange health insurance before heading to Costa Rica. The easiest and most reliable insurance is World Nomads Travel Insurance. Get it before your trip to skip unnecessary troubles that might ruin your holidays! Any questions? Don’t be afraid to ask me! Next Post Is It Safe to Travel Alone to Egypt as a Female? Hi Anna, Thanks for sharing this informative article about renting a car in Costa Rica. One of my friends have been thinking to visit Costa Rica next month. So, I am going to share this to her. Hope so she will be benefited from here.